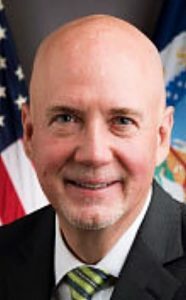 WASHINGTON – National Corn Growers Association President Lynn Chrisp today urged U.S. Department of Agriculture Secretary Sonny Perdue to consider changes to the Market Facilitation Program ahead of the second round of payments. Chrisp asked Perdue to add ethanol and distillers dried grains with solubles to the calculation of damages for corn. Using USDA’s methodology, gross trade damages for ethanol and DDGS amounts to $254 million, which was not accounted for in the first MFP payments. Chrisp also asked the secretary to allow farmers who suffer production losses from disasters to use an alternative to 2018 production for their MFP calculation. This would ensure farmers suffering from drought, hurricane-related losses or other natural disasters would not be penalized twice.